The education industry has been experiencing a lot of competition lately. Parents have to go through the ongoing private and public school war before choosing for a suitable school for their children. Countries such as Pakistan where the society is encumbered with double standards and status consciousness, it is very difficult to choose a suitable institute for your children. Besides from looking at your pockets, you are also required to check for the status and academic standing of your school or college. Any child’s future depends on the level of education he/she is being provided with. An academic institute works as a learning ground for the little learners therefore, parents cannot take any chances. Before opting for an academic institute, parents have to decide whether they want their child to go to a public or a private school or to be exact, whether they can afford to enroll their child to a private school or not. Private schools have more resources than a public school resulting in better amenities such as computer labs, science labs and healthy extra-curricular activities. Private schools provide children with all the basic necessitates such as well-organized classrooms, good quality furniture and proper sanitation. Private schools tend to have higher capital and resources therefore; they can afford to hire well-educated and highly skilled teaching staff. Majority of the private schools have well-built playgrounds, basketball courts, swimming pools and lots of other sports related equipment. Private schools are usually expensive than government schools therefore, most of the children studying there, belong to good families. 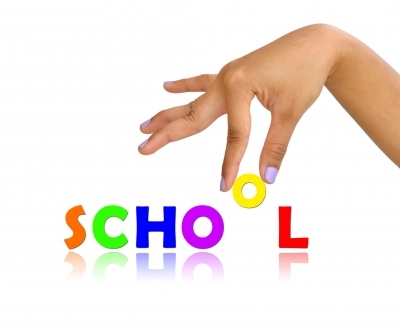 These are few major points due to which parents are more inclined towards private schools. This may be unfair to poor families that can’t afford the high fee structures, but that is how things work in countries such as Pakistan. In order to get rid of double standards, it is very important for the government to improve the standards of government schools across the nation. Primary and secondary schools need greater deal of attention because they work as a foundation for the little ones. As the country is challenged by poverty therefore, majority of the population is currently studying at government schools. Sadly, most of them have poor building conditions with cracked roof ceilings, broken chairs, unpainted walls, no sanitation system, no place for extra-curricular activities and the list goes on. Our government needs to take strict actions against all such inconveniences. We have the money, we have the resources, what we don’t have, is the heart to spend the required amount of money from our pockets.